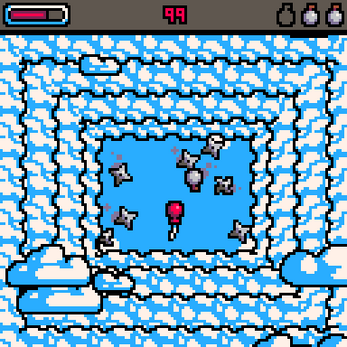 You are a lost balloon that get's caught in a storm of deadly shuriken! Luckily, you can use your ninja senses to slow down time, avoiding deadly situations. 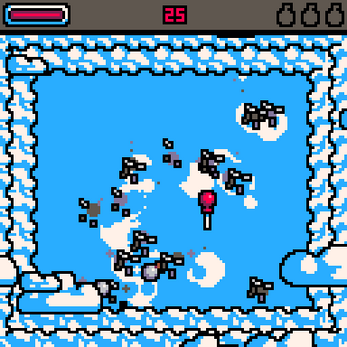 Additionally, there are also bombs drifting by, which grant you the ability to clear the whole screen! 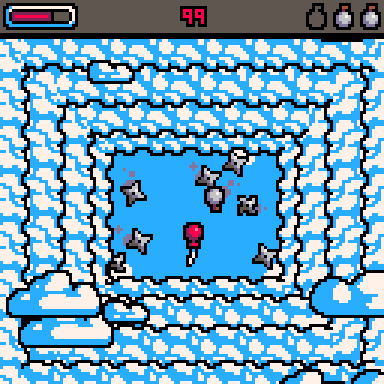 But be warry: The clouds are getting more dense by the second, so you might find yourself cornered soon! 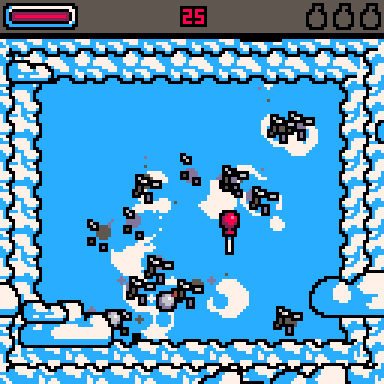 This is a submission for the heart game-jam, with the theme being "scarcity". The theme was interpreted as scarcity of space and implemented by the clouds moving closer and closer together over time. That's a very good game! I really like the aesthetique, and the controls are pretty good.